I have partnered again with Breakstone’s Sour Cream…this time for the “Taste Test, Breakstone’s Battle of the Kitchen Bloggers”. This challenge is lots of fun with lots of great prizes. For this “battle”, I’m up against 2 other amazing bloggers…so I’m gonna need your help! Over the next few weeks, I’ll be sharing some of our favorite holiday recipes (this being the first)…then you’ll have the chance to watch a super cool video about my recipe and the other bloggers’ recipes, featuring Sandra Lee. 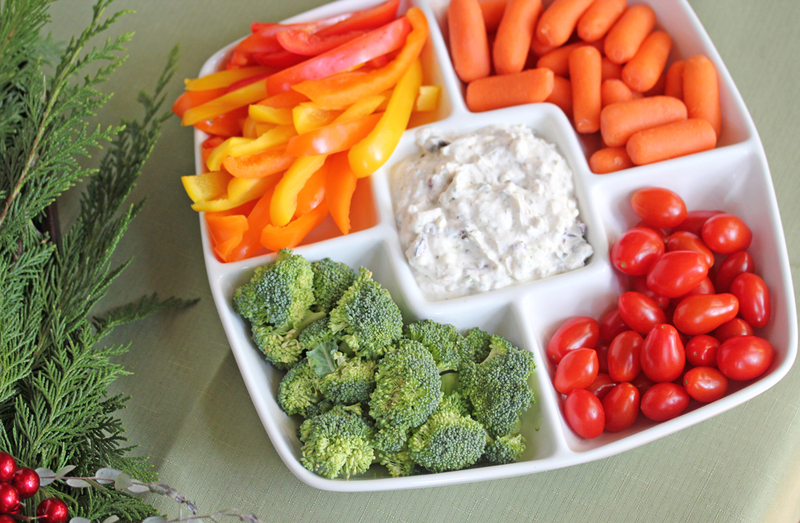 In the video, she and her team share an awesome idea for another way to enjoy this dip…perhaps with your holiday leftovers!?! After watching the video, you can vote for your favorite recipe. By voting, you’ll be entered to win weekly prizes of $50, and a grand prize of $2,500!!! You can vote once per day and can receive one additional entry for viewing the video (1 additional entry per video, not per video view). So know that we’ve got the nitty gritty details all figured out, let’s get on to the yummy part. Around our house we don’t eat appetizers often. Until the holidays rolling around. And the official “holiday grazing season” begins. 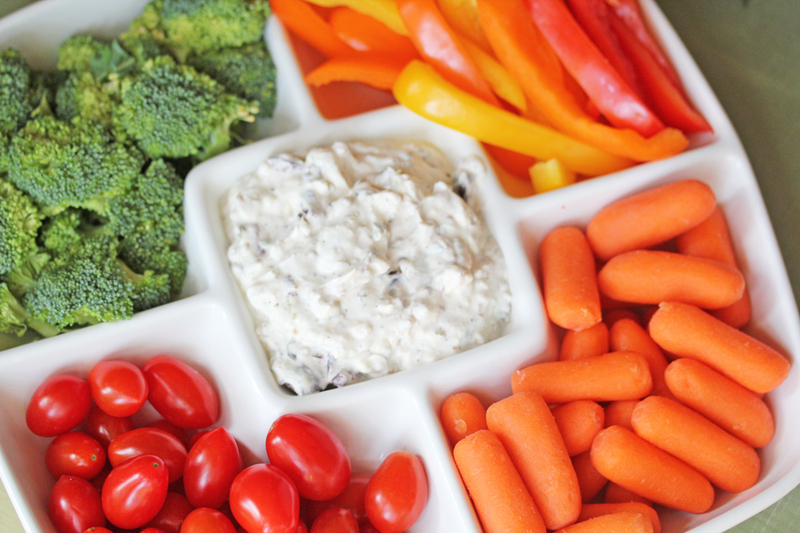 Of all the many varieties of appetizers that exist in the food world, sour cream dips are definitely my favorite. I like that they can be made low in fat. I like how the Breakstone’s sour cream takes on the flavors of what is mixed with it in the dip. And I like that you can pair it with healthy vegetable and whole wheat crudités for dipping. This Greek Sour Cream Dip combines several of the powerful flavors from traditional Greek food…and will not disappoint! Add all ingredients to a mixing bowl and stir together. Serve with vegetable and bread crudités, like red pepper slices, celery, carrot sticks, pita chips, multi-grain crackers and crisp sourdough bread slices. Now it’s your turn…print this recipe to make for (or take to) your next holiday event. Then head on over to watch the videos with Sandra Lee and all the blogger’s appetizers. Then vote for your favorite recipe (my Greek Sour Cream Dip, I hope! *ahem*) and be entered to win the weekly prizes and grand prize.